The paintball industry has learned through the years that making playing pants is one of the most difficult things to do. Through trial and error along with trips to the hospital for stitches, todays pants are durable and can last through many of the worst things you can do to them. They also have padding in all the right places to help keep you from taking a trip to the hospital. 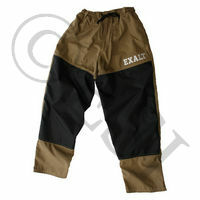 BT Paintball makes great pants for players who play woods ball or scenario. DYE Paintball always brings the cutting edge of design and features year after year. 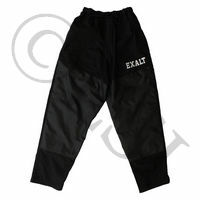 Want pants that some of the top teams in the world use? Look no further. Empire brings it to you. JT USA's pro pants keep you protected in all the right places. Planet Eclipse can always be counted on to bring the coolest european designs to paintball. Sweet looks, very comfortable, and great protection. Proto Paintball brings you a better value for paitball pants without sacrificing quality, design, and the protection where you need it the most.